Brother Teddy Bear - 12"
Congratulate your son, whether he's the little, middle or big brother with a fun Plush Frog Keepsake like this! This Brother Frog is sure to be a treasured gift he'll enjoy day after day. 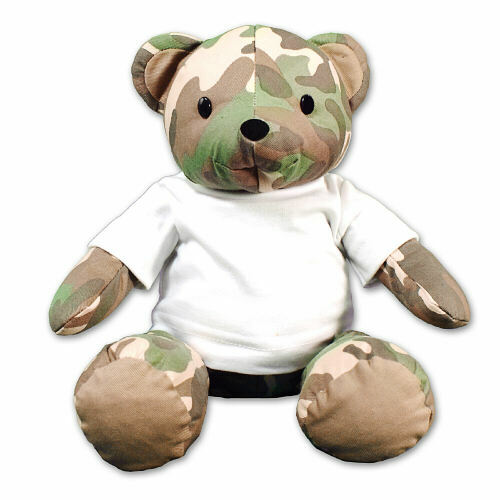 This brother design is featured on our "My Hero Wears Camo" Teddy Bear. This handsome Bear measures 12" tall. He wears desert camouflage made of canvas and is surface washable. Free personalization of any design and any custom message is included on the t-shirt. Free Gift Wrapping and a Free Gift Card are included to create a thoughtful presentation. 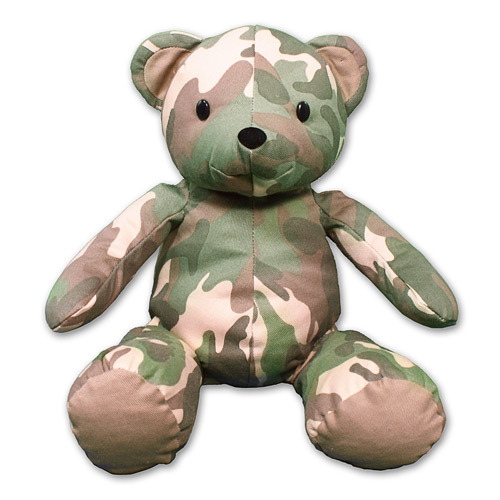 Additional Details 800Bear.com offers a fun selection of Plush Baby Boy Animals for all to enjoy. Whether you're welcoming home a baby boy, congratulating your son on becoming a new brother or announcing his arrival! They make the best keepsakes your boy will enjoy always.